Hospital discharge services help Union County Patients get safely home to recover! 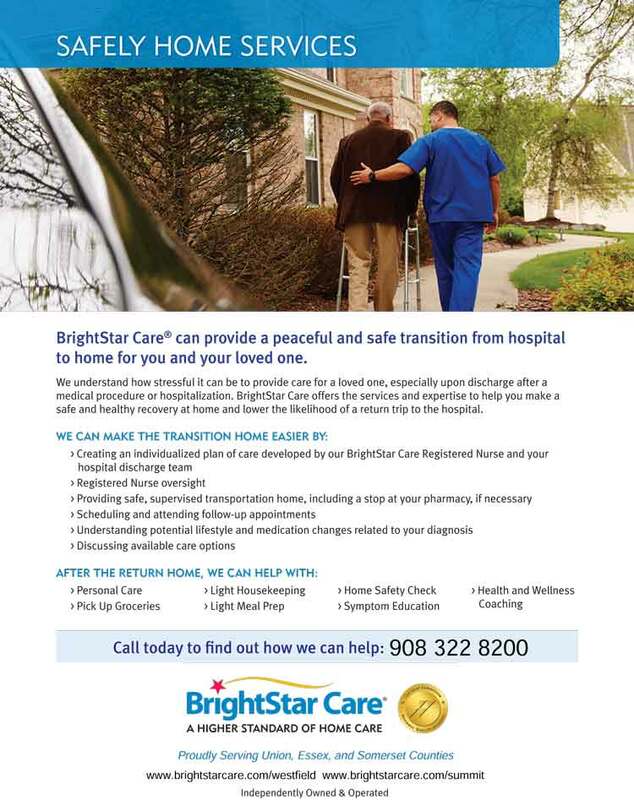 BrightStar Care® can provide a peaceful and safe transition from hospital to home for you and your loved one. We understand how stressful it can be to provide care for a loved one, especially upon discharge after a medical procedure or hospitalization. BrightStar Care offers the services and expertise to help you make a safe and healthy recovery at home and lower the likelihood of a return trip to the hospital.